As a builder, the ability to compare with other builders in a given market is a key component to success. The Sales Price is one of the most important indicators of the “competitive builder”. 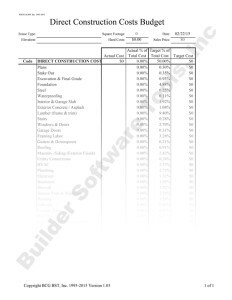 The Direct Construction Cost Budget helps determine your hard costs – the largest percentage of the Sales Price. 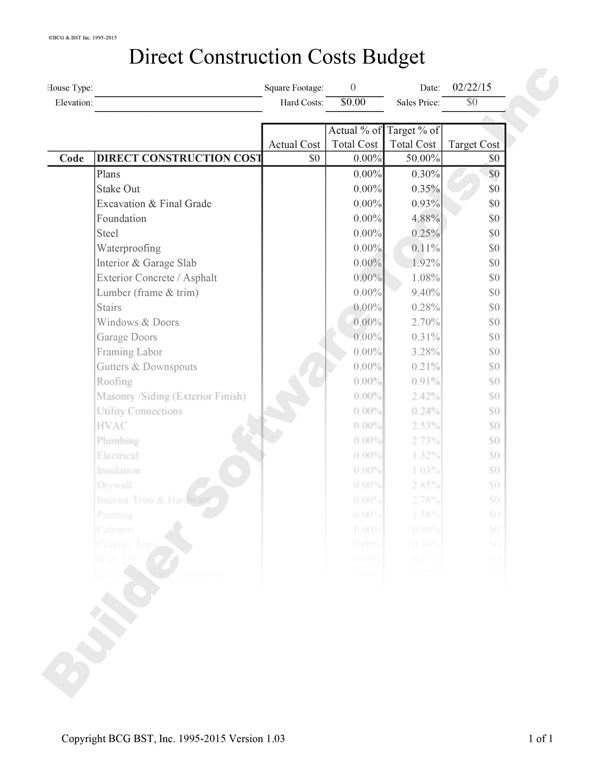 To create the worksheet, Builder Software Tools, Inc. combined industry experience with information form a national building consultant, a mid-sized local builder and a national homebuilder. This information was used to determine target cost percentages, by phase, that are both realistic and aggressive. The worksheet can be used in two ways: target bids can be calculated for each phase simply by entering a target sales price. This is invaluable when bringing a new house type to market. You may also analyze the pricing of your current house types by entering contract costs by phase and comparing them to the target costs that are calculated. Either way, this process enhances your ability to sell competitively priced homes and meet your hard costs goals so you operate profitably.